Things to Keep in Mind When Making a Mold For Plastic Parts | Bridgville Plastics Inc.
How many plastic parts do you need? Before you go through the trouble of creating a mold to make plastic parts, you should consider how many plastic parts you actually need. Often times, it’s best for companies to order molds when they need a large number of plastic parts at one time. It will justify the cost associated with designing and then creating a mold. What is the budget for designing and creating your mold? 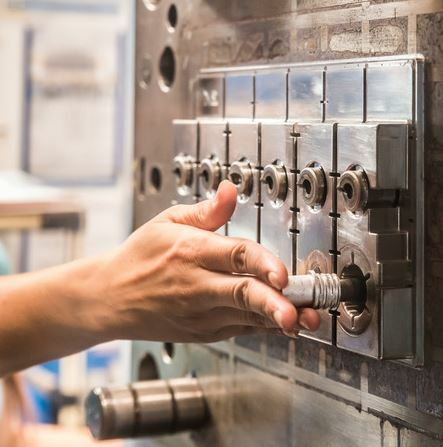 If you decide that creating a mold for plastic parts is the right move for you, you should next consider what your budget will be for the design process associated with making a mold. There are some designs that are very complex and will, therefore, cost more than others. A mold may also need to be modified after it’s initially made, which could add to the cost. It’s best to prepare yourself for the manufacturing costs associated with making molds before you start. Will your mold be able to produce the plastic parts you need? There are some plastic parts that can’t be manufactured using a mold. Larger parts, in particular, might not do well during the injection molding process. Prior to creating a mold, you should speak with a company that can tell you more about whether or not making a mold would be the best option for you. Bridgville Plastics is a plastic injection molding company that can speak with you about designing and creating a mold for plastic parts. Call us at 269-465-6516 today to see how we might be able to help you create the parts you need.